This was our SyndCon 2010 artwork. 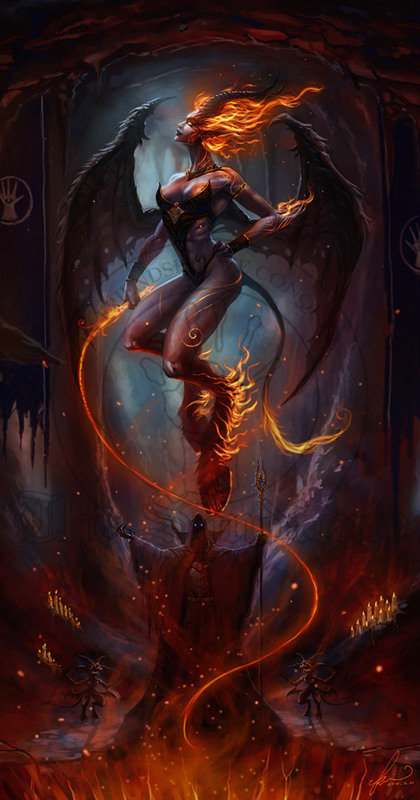 It shows a Syndicate necromancer summoning a succubus branded with our Syndicate logo on its chest. He is flanked by two imps and some Syndicate banners.